Last week, Google announced that the “buy button” is imminent. “There is going to be a buy button soon. It’s imminent,” said Omid Kordestani, Chief Business Officer of the most popular search engine, during the Code conference in Southern California. Google’s “buy button” will initially be available on mobile devices. This comes after the recent update favoring websites that are mobile-friendly and, after the company communicated their intention to launch the “buy button” feature late last year to compete against Amazon. This update, when it comes, will shift Google Shopping from simply redirecting users to ecommerce sites to letting them buy direct from a search result. How the introduction of Google’s “buy button” affect mobile SEO and SEO in general is common sense. I can think of two. It will further push ecommerce sites to shift towards becoming mobile-friendly. You can visit Google’s mobile-friendly test page to check the mobile-friendliness of your website. The introduction of the “buy button” will increase the demand for SEO of ecommerce sites. Those selling online will realize further the need for optimizing their websites and making them visible in Google. For those who are already appearing in search results, it is necessary to maintain their presence there. 1. Move towards the direction of mobile SEO. This may be a selling point for your clients who have been reluctant about upgrading their website to be responsive or mobile-friendly. Don’t be surprised if the demand for mobile-friendliness upgrade increases. 2. 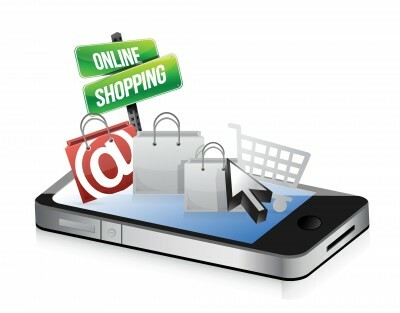 Brush up on optimizing ecommerce sites on various platforms. To those who have had a lot of experience, this may just be a refresher but to those starting out, going through a learning curve could be the case. What other effects of Google’s “buy button” on the SEO market and for online marketers can you think of? Please share your ideas in the comment section.